Esdeath is an antagonist and general in the Japanese shōnen manga series, Akame ga Kill! Esdeath was born in the Northern Frontier Lands, being the daughter of the Partas Clan's chief. At a young age, her mother died at the hands of an Ultra-Class Danger Beast, resulting in her being raised by her father, becoming a skilled and formidable fighter. She became comfortable with inflicting pain on living things after seeing animals she caught being gutted by her father and lived by his creed: "The strong survive and the weak die". One day, she went on an outing only to return to the Tribe and find it destroyed, seeing people dead or dying. After finding her father mortally wounded and seeing him die, she vowed to get stronger, eventually joining the Empire's military. She rose through the ranks rapidly and was later allowed to choose an Imperial Arm. Selecting the Demon God's Manifestation: Demon's Extract, she took the urn it was contained in and drank from it. After a brief struggle with it, she managed to tame the power flowing through her, enabling her to become known as the strongest in the Empire. Long before acquiring her Imperial Arm, Esdeath possessed many skills from her upbringing as a hunter and later while raising up the ranks of the Imperial Army. This includes her passionate expertise in the ways of torture, being a master strategist on the battlefield, and her skills as both a hand and hand expert as a master of the long-rapier. Weather Manipulation (Ice storm via Ice Storm Commander-in-Chief). Extrasensory Perception (Can sense the presence of her adversaries if they carry a shred of murderous intent and has a strong 6th sense). Resistance (to Empathic Manipulation and Willpower Manipulation [Unaffected by Scream]. Mind Manipulation (Drank the entire chalice of Demon's Extract and resisted the Danger Beast's attempt to break her mind/ take control of her, while even of a cup of the blood can destroy a human's psyche). 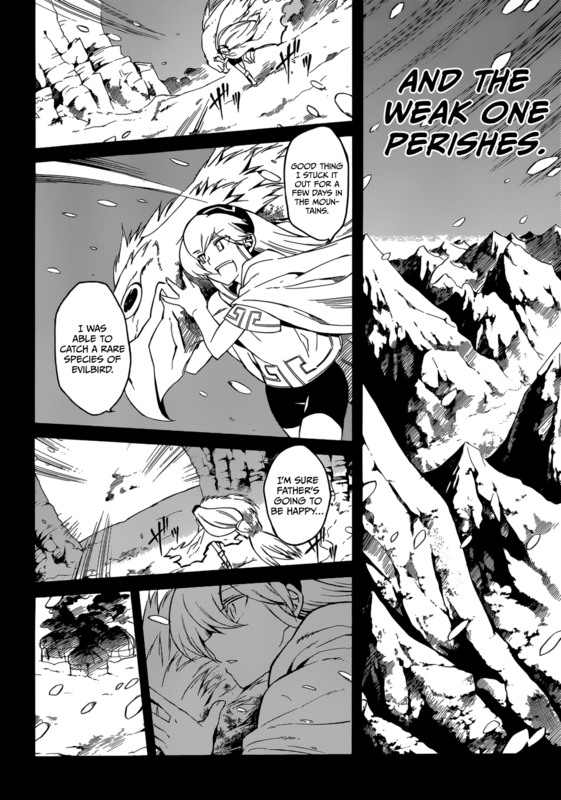 Fire and heat (Her ice can resist being melted by Tatsumi's fire-breath, and completely unaffected by Die Leaguer's Fire Orb). Demon God Manifestation: Demon's Extract is an Imperial Arm created from the lifeblood of a super-class Danger Beast that lived in the Northern parts of the Empire's territories. Kept in a chalice, the Demon's Extract gives the user the power to manipulate and generate ice. But those before Esdeath who drink would go insane within moments of drinking the blood. Only Esdeath's sadistic will quell the voices and made the blood an extension of herself. 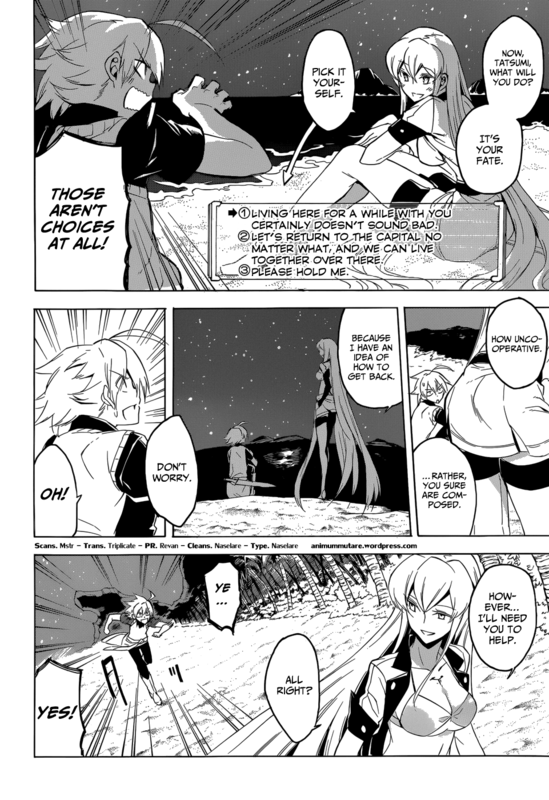 While the Demon's Extract lacked Trump Cards, Esdeath created her own along with various attacks. 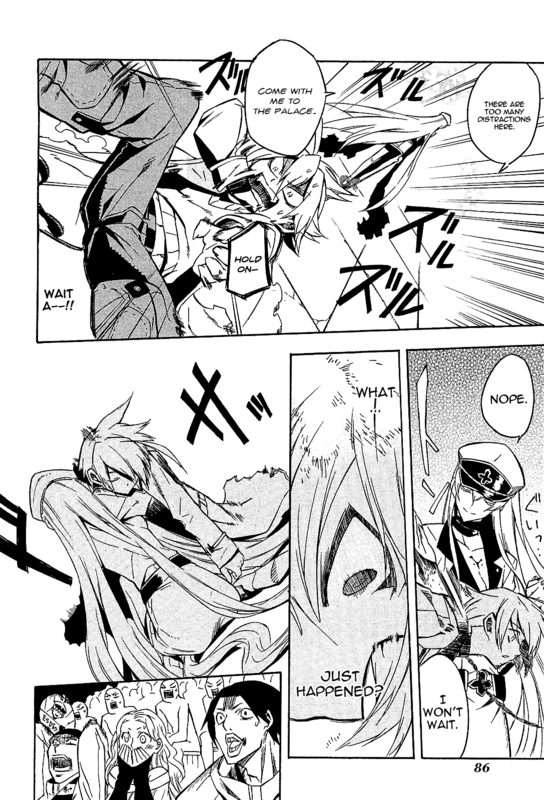 Ice Armor: Esdeath can freeze ice around her body to act as makeshift armor to stop sudden attacks like Akame's Murasame. 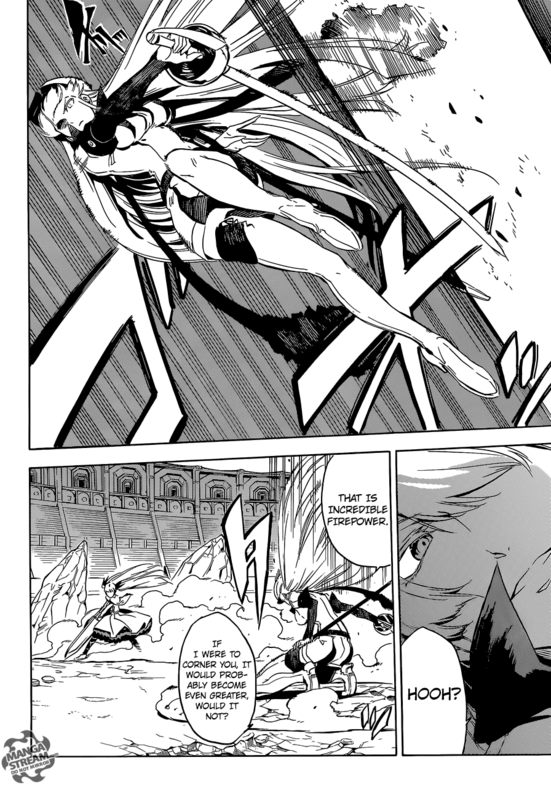 Levitated Flight: By wrapping ice around parts of her body and making those pieces float, Esdeath can levitate in the air. Weissschnabel (White Mouth) - Summons multiple icicles and launches at a single target. Grauhorn (Grey Horn) - Creates a horn of ice to pierce a target. Hagelsprung (Hail Pounce) - Creates a giant sphere of ice to crush enemies. Mahapadma - A technique that freezes time and space for a short period of time. Ice Cavalry - Creates an army of ice centaur soldiers. Ice Storm Commander-In-Chief - Esdeath is able to focus her mighty power to create a powerful ice storm capable of covering an entire country with ice and snow. Although she did it relying on the power that she puts into her Ice Cavalry, that took her a few days to create them (Which means that she should be capable of doing it by her own). From what she has said, it replenishes her powers constantly while the storm is active. Easily fought the members The Jaegers in their first meeting to test their skills. Hunted and killed Danger Beasts as a child. Became the General of the Empire's Army. Won numerous battles for the Empire. Master strategist on the battlefield. Took a direct blow from Evolved Incursio Tatsumi (She let her emotions get the best of her). 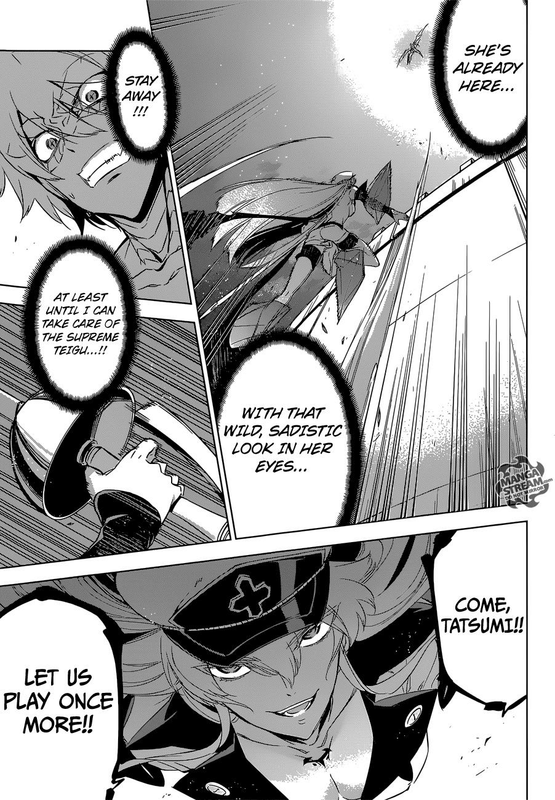 Against Stage 2 Incursio Tatsumi, she keeps him on the defense for the majority of the fight and blocks any strike he does throw, while depowered. Unaffected by the temperatures of her own ice. Slams A Rakasha Demon's face to a wall so hard, the wall shattered. Took on the whole Night Raid with no trouble. Easily faster than The Speed of Lightning: Susanoo. Fast enough to create afterimages. Can easily run on walls. Constantly stated to move faster than the eye can track. Fought boosted-drug Akame (Stronger than her base form) still without even trying. Fought Akame (Ennoodzuno form) while was depleted. Broken the sanity of Numa Seika. Though she was newly accustomed to her Imperial Arm powers and yet to explore her full potential, she froze an entire river. Froze 400,000 people in a single campaign. Resist mind control (Was completely unaffected by Nyau's Scream Imperial Arm). Killed a group of humanoid Danger Beasts in a single attack. Easily fought on Leone, Mine, Tatsumi, Akame and Susanoo all at once. Killed Night Raid member Susanoo without effort. 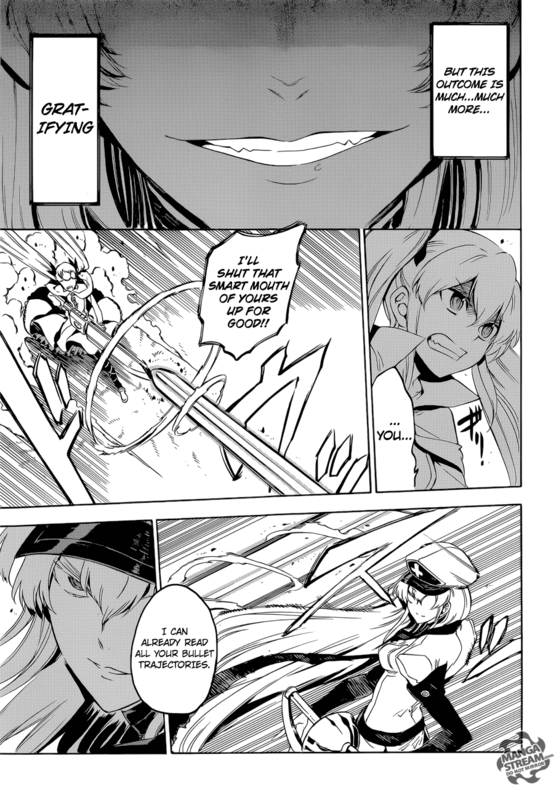 Despite being depowered, Esdeath trounces an enhanced Fought boosted-drug Akame without ever getting tagged once. Covered an entire country with deadly ice and snow and it increased her powers (True full max). Bloodlust easily takes control in battle. Prefers to leave her opponents alive and in pain rather than finishing them off right away. Will allow survivors for future battles. A Mayadere, she is obsessed with Tatsumi and mainly focuses on him, even if killing him which can lead distractions. 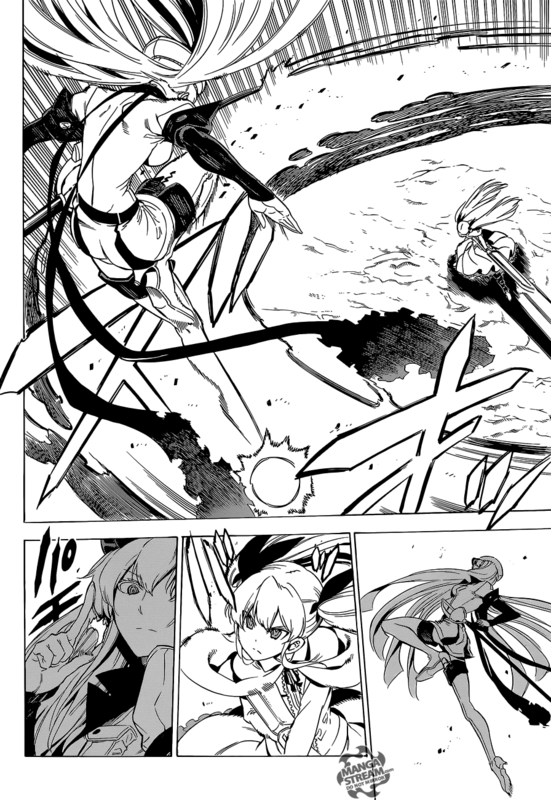 Could've finished off Akame and the others when she used Mahapadma and killed Tyrant. Can only be used once every 24 hours. Can be nullified by anyone with Ice resistance (Not while her Ice Storm Commander-In-Chief is activated when she used it to kill Tatsumi).